Discover two of San Diego’s finest areas—La Jolla. 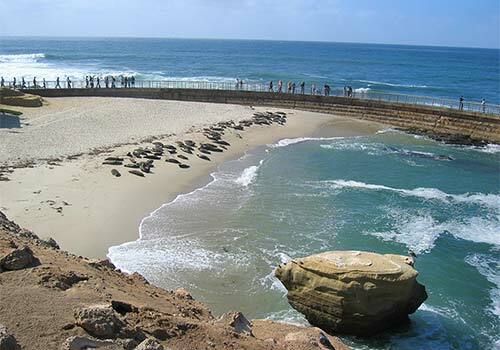 This full-day, guided our explores Seal Beach, Mount Soledad, Torrey Pines Golf Course, Black Beach and more. During the tour, there is free time for lunch by the sea. See San Diego beach culture on full display, and find out why people fall in love with coastal gem. Tour duration: approximately 4 hours long. Includes 5 incredible photo opportunities. Your tour guide is a San Diego local. Please arrive 15 minutes prior to your scheduled tour time. Welcome to Southern California Beach culture and discover the beauty of what San Diego is really all about. This tour will take you through an adventurous beach discovery as we explore beautiful La Jolla. If you come to San Diego to enjoy the summer this tour is a must for you! 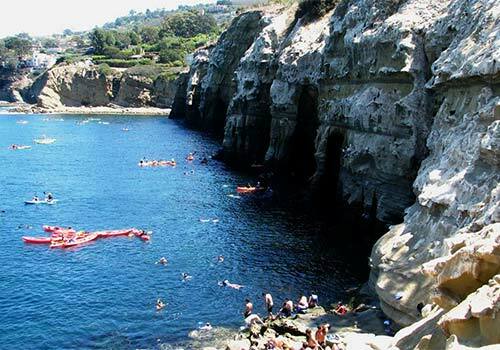 Enjoy a complete day in the picturesque area of La Jolla. The neighborhood houses the most scenic coastal landscape in California. Marine life is also omnipresent here. The tour will start with a walk around The Cove and we will pass Seal Beach followed by some free time to get lunch along the coast. 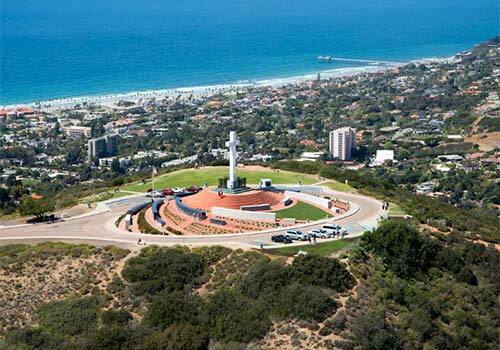 Afterwards, we will head to the top of Mount Soledad, which is the highest coastal elevation on the west coast and boasts majestic panoramic views like nowhere else in the world. 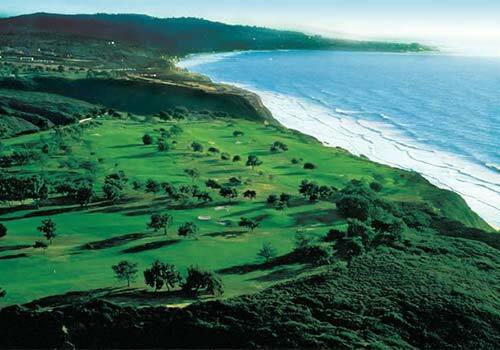 We will also visit the world famous Torrey Pines golf course, a favorite playground of Tiger Woods. From there, we will make a quick stop at the glide port which also offers amazing views of Black's Beach, one of the most famous surf spots in all of Southern California. The San Diego Beach Tour departs from downtown San Diego each Mon/Wed/Fri at 11:00 AM. Please arrive at least 15-minutes before our scheduled departure time. Specific instructions will appear on your reservation voucher. Where does the tour begin and end? The pick-up and drop-off spot are located at Santa Fe Train Depot/ Five Star Tours Visitor Center, 1050 Kettner Blvd, San Diego, CA 92101. Tours depart at 11:00 am and return at approximately 3:00 pm.